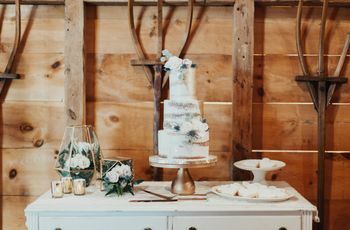 Where to Get a Wedding Cake in Saskatoon | Wedding Ideas ARE YOU A VENDOR? Looking for someone to craft your dream wedding cake in Saskatoon? Here are the bakeries that need to be on your radar. So, you’ve drafted ideas for your dream wedding cake design and have a solid idea of what you’re looking for? Well, it sounds like it’s time to start hunting for a place to order a wedding cake in Saskatoon. 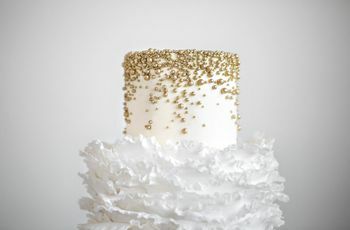 Lucky for you, there are more than a few awesome wedding cake bakers who will turn that dream into a reality. 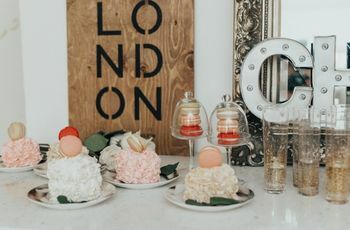 We’ve rounded up some of the best bake shops, cakeries and private studios in the city to help you on your hunt for the perfect person (or people) for the job. 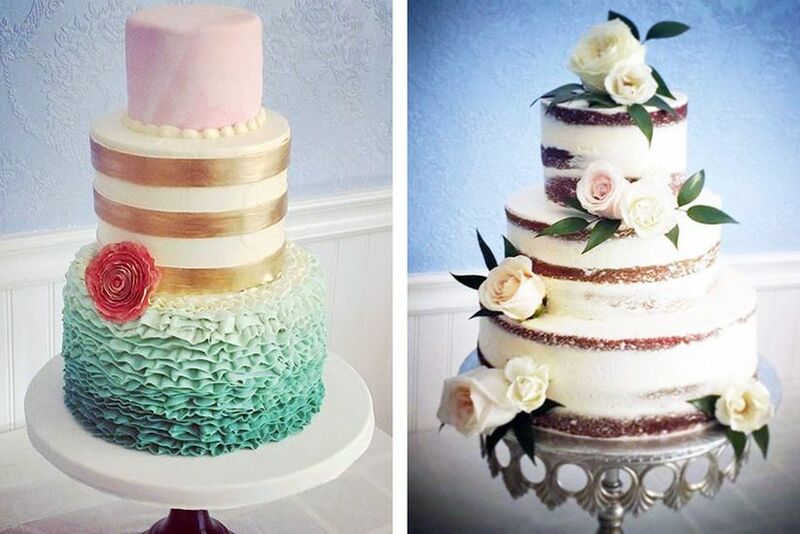 Here’s where to get a wedding cake in Saskatoon. This Manitou Court cakery is one of the most popular places to get a wedding cake in Saskatoon. 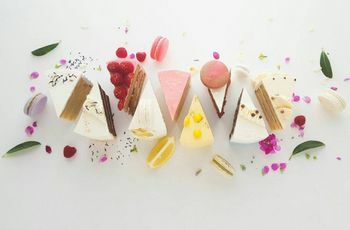 It specializes in multi-tier celebration cakes and has dozens of flavours and styles to choose from (all made using locally-sourced, high-quality ingredients). 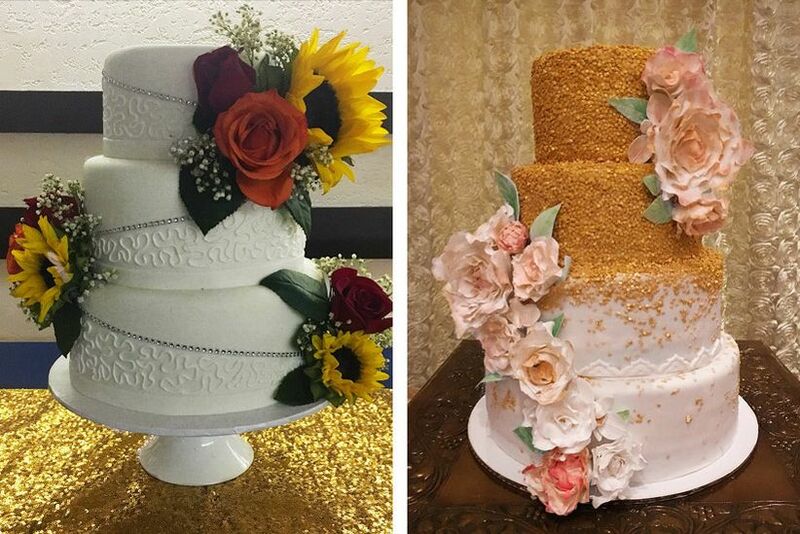 Whether you’re in the market for a sky-high confection, small single tier cake or a dramatic cupcake tower, its owner and baker, Inez Sanche can make it happen. Sliced Decadence crafts some of the most photogenic wedding cakes in Saskatoon. Its design gallery includes romantic, new age boho designs like ruffle cakes topped with fresh flowers, naked cakes, and rustic ombre treats. 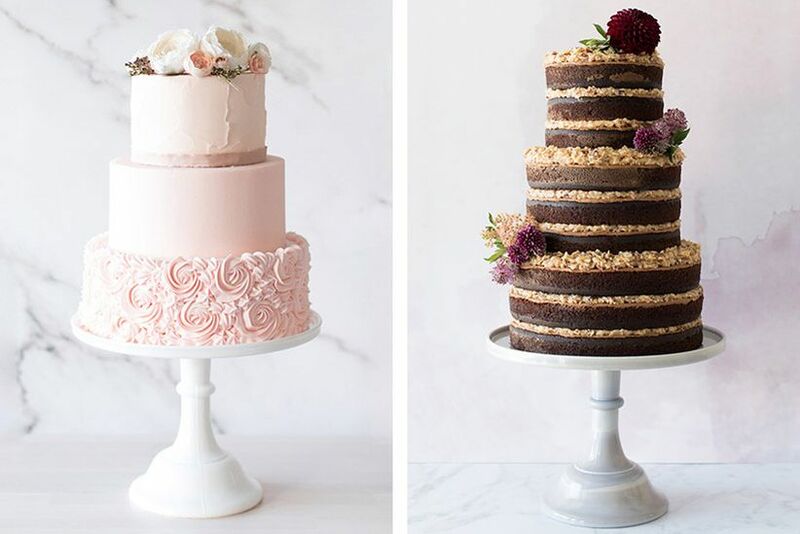 As for wedding cake flavours, its menu is filled with drool-worthy options like caramel brownie, chocolate coconut cream and cinnamon bun swirl (just to name a few). If you’re not 100% sure what you want, you can book a tasting for $40. PicNic’s Catering will help land you the cake of your dreams and hash out your wedding menu, too. As its name suggests, the company specializes in catering, so it can create a delicious buffet spread and cocktail hour hors d’oeuvres, as well as your star confection (killing a few birds with one stone). It has a few signature styles, but if you’re looking for something totally custom, we highly suggest taking advantage of its “build-your-own” option. Each tier can be a different flavour and decorated to fit the unique theme and colour scheme of your celebration. This private studio has been praised for its ability to make creative cakes that match each celebration perfectly. 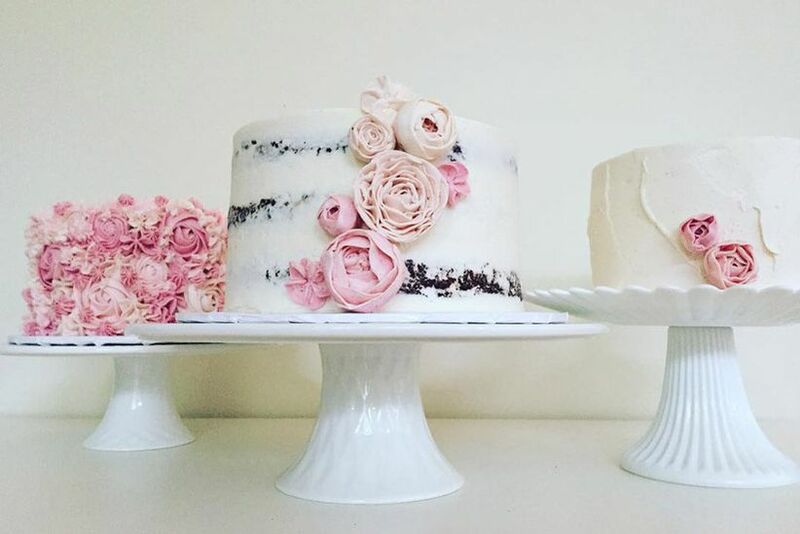 From sleek and simple buttercream cakes to whimsical fondant designs, it can make a confection that suits your wedding style to a T. Bonus: if you’re on the hunt for a gluten-free, nut-free or dairy-free wedding cake, they can cater to your specific dietary needs for an additional cost. 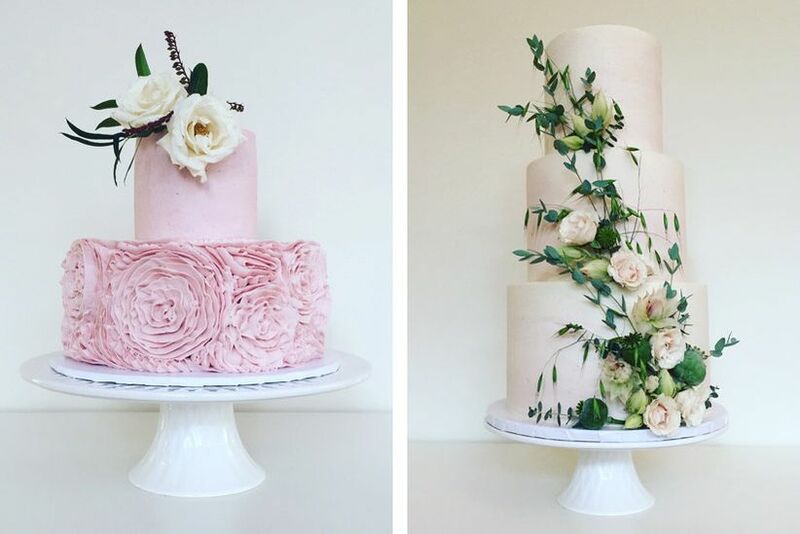 Cakes by Britney is another private studio for a wedding cake in Saskatoon worth looking into if you’re on the hunt for something custom. 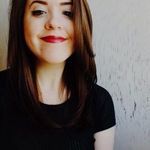 Her portfolio is filled with playful cupcake designs, rustic birch bark tiers and romantic ruffle cakes, so no matter what your style, your bound to find some inspo here. Crave uses family recipes and fresh ingredients to craft confections that are just as beautiful as they are tasty. While cupcakes are its speciality, it also has a few multi-tier cake styles available (including trendy drip cakes, rainbow cakes and confetti cakes). 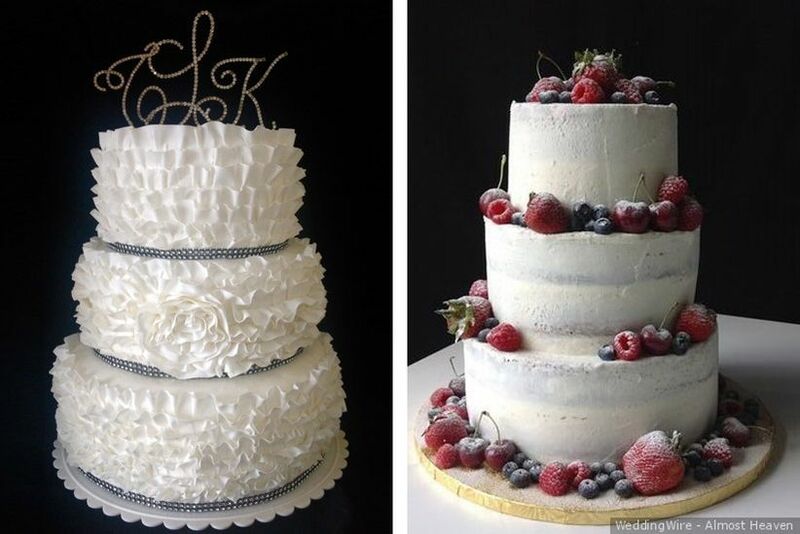 If you’re looking for a wedding cake in Edmonton or Calgary, there are Crave bakeries there, too.